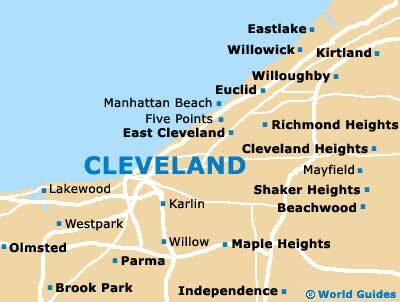 Within easy reach of Cleveland are several exciting attractions to keep the family entertained. Nearby Cleveland is the Mid-west's only safari drive-through, the largest waterpark in Northeast Ohio and an award-winning amusement park. All of these attractions and more add to Cleveland's appeal as an up-and-coming family destination. With a reserve spreading over more than 100 acres / 40 hectares, the African Safari Wildlife Park features hundreds of rare, exotic and endangered animals from around the world. 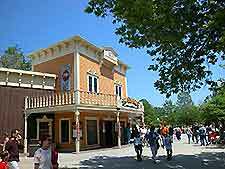 The park also markets itself as one of the Mid-west's only drive-through safaris and is within easy reach of Cleveland city center. This award-winning amusement park has 68 rides and 16 roller coasters, more than any other park in the world. The Cedar Point Amusement Park also incorporates Castaway Bay Resort, a massive tropical waterpark and spa. 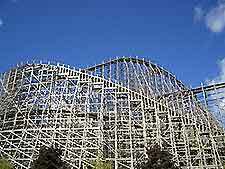 From Cleveland, Cedar Point Amusement Park is approximately a one hour and 30 minute-drive by car. Dover Lake is the largest water theme activity park in Northeast Ohio. Arranged on 56 acres / 23 hectares in the scenic Cuyahoga Valley National Park and located between Akron and Cleveland, the waterpark has a variety of aqua attractions to entertain visitors of all ages. 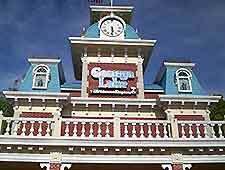 Just 30 miles / 48 km from Cleveland, Geauga Lake and Wildwater Kingdom offers visitors over 50 rides and attractions, including roller coasters and a 20-acre / 8-hectare waterpark area. The waterpark itself features a range of rides, wave pool and water slides.